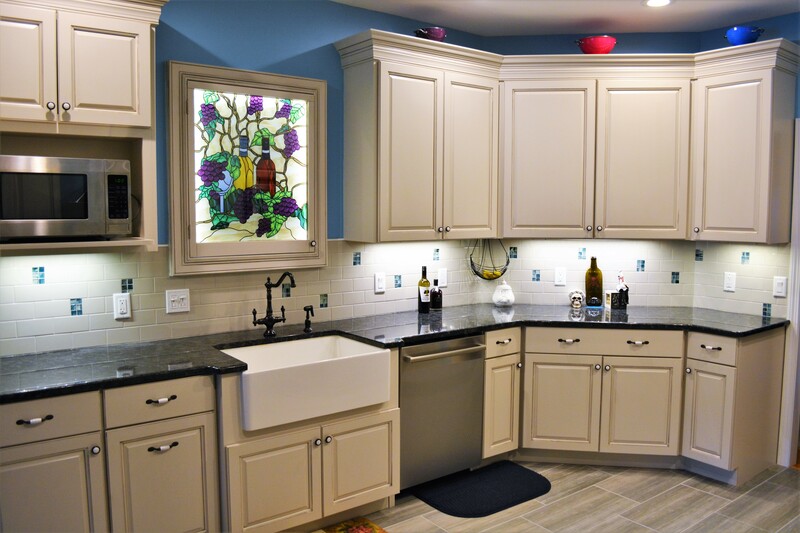 When you remodel your kitchen, there are different ways to change the look of your cabinets. You can buy brand new cupboards, repaint the ones you have or refinish the existing wood. All of these will give you a fresh look. One thing to take into consideration when renovating is building custom kitchen cabinets. A professional contracting company can help you with things you would not even think about when designing your cupboards. The best designers will look at the space you have and help create kitchen cabinets to fit your home and your needs. A good designer will ensure that doors and drawers do not open into areas that would obstruct other appliances. They will also make sure that your working space allows you to easily maneuver. One consideration in cupboard design is to make sure there is enough toe room by the base. This allows you to move closer to the cabinet when cooking or baking. No matter where your home is, there are building codes required by the state or town where you live. A kitchen design professional can help to make sure that your design is built to the requirements in place. They need to meet codes for locations of electricity and plumbing. It is important to make sure that you meet these standards so you do not get penalized later. Another consideration when building custom cupboards is the length of time you plan to use them. 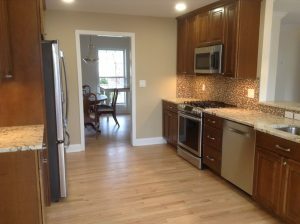 Cabinets can be created for more ease depending on the age or needs of a person. A good professional can help make your kitchen more accessible if you are handicapped or aging by using lower spaces more efficiently. They can also create wider spaces between countertops or add aids such as handrails to different locations in the kitchen. There are a lot of details to consider when creating custom kitchen cabinets. They are a great option for a beautiful, customizable and unique space made just for you. Speak with a professional today. Laminate will save you money while providing a variety of styles. It is not very durable and without proper care, it can become easily stained or burnt. A quartz countertop provides you with a nonporous surface that is resistant to scratches and burns. It is expensive but it is a beautiful low-maintenance option to include in your home. Granite provides you with many unique options. The smooth, cool stone makes any countertop look chic and is great for baking. It requires regular upkeep so that it does not get stained. A butcher block is an economic choice. It is made from wood so it can be sanded to remove scratches. It also requires regular disinfecting. This engineered material is costly and durable. It is also customizable with a variety of colors and textures for your kitchen countertops. Soapstone is a softer, nonporous stone surface. It requires more maintenance than other options since it can scorch or scratch more easily without proper care. This is a more expensive but easily customizable option. It requires upkeep such as sealing. This is an environmentally friendly choice for your kitchen. It is more cost effective while reusing materials such as glass or wood. Its durability depends on the type of surface. This is another stone option that is a reasonable cost. It is not very durable and can easily be stained. However, marble is a stylish option for your home. Stainless steel is a durable surface that will provide a modern look to your kitchen. It can easily be wiped down and will provide a sleek look with less work. There are many things to consider when choosing kitchen countertops. A professional contractor can help you evaluate the best material to fit your home and lifestyle. A kitchen is often the heart of the home. It is where your family gathers to cook, eat and make memories. 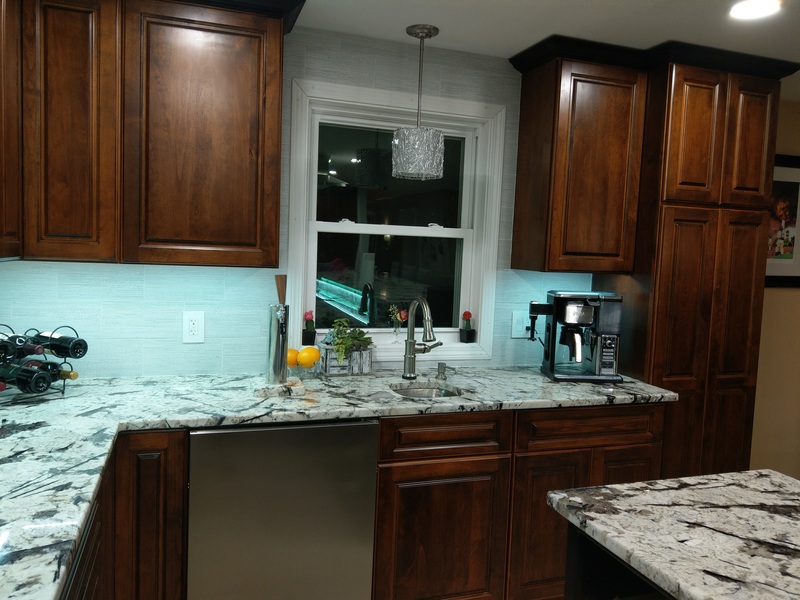 Did you know that you can add value to your home by choosing the right countertops during your remodel? There are numerous options to choose from including natural stone, wood and engineered materials. Surfaces that will add the most worth will be durable, low maintenance and multipurpose. Solid surfacing is an excellent choice for all the reasons stated. One of the best reasons to choose solid surfacing is for the versatility. A kitchen is as unique as the person who is using it. That is why many options will help you pick the style that is the right for you. Engineered counters come in multiple colors and textures that make it easy to match to your cabinets, floors and walls. Also, the thickness of the material can be manufactured to what is the most useful and desirable for your home. These kitchen countertops are resistant to scratches and stains. Since they are engineered to be nonporous, they do not easily retain odors or spills. These are a great option that is resistant to heat and burns. Solid surface is a great option for kitchens that get a lot of use. They make it easy for baking, cooking, cleaning and gathering around. The right kitchen surfaces add value your home. They make your lifestyle easier if you do not need to spend as much time maintaining them. 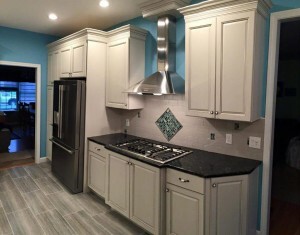 They also provide better home resale value since a good kitchen is often a key deciding factor on how much someone is willing to spend on a home. If they do not have to fix a broken counter or redo the kitchen, your home will likely sell for a higher profit. The right countertops are durable and versatile. 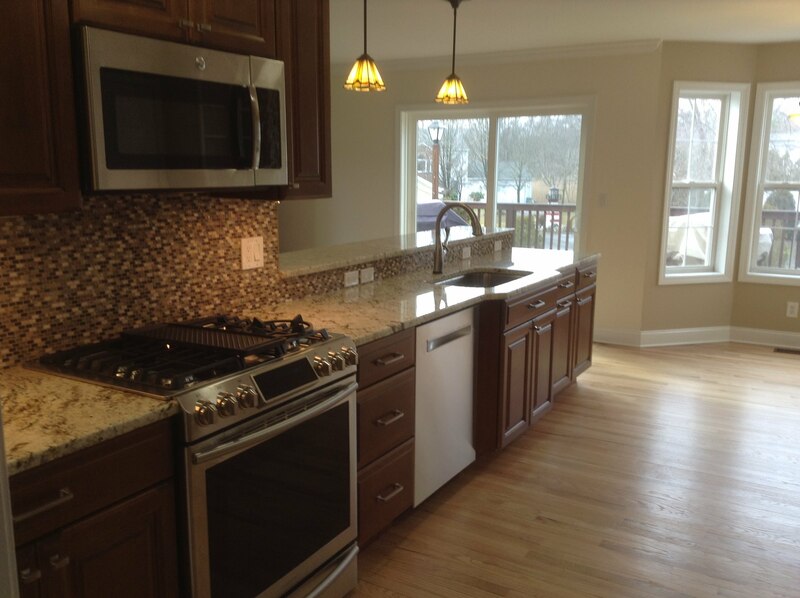 They add value to your home and the right professional contractor can help you design your kitchen and counters. The kitchen is the center of the home for many families. It’s where everyone comes together in the morning and at the end of the day. If your kitchen is old and looks outdated, you don’t have to invest a lot of money and time into kitchen remodeling. 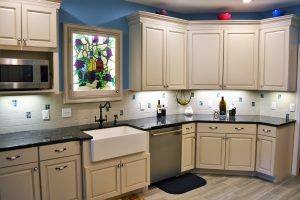 There are a few little things a kitchen renovation professional can do that will make a big difference. Although soft to the touch, like a bar of soap, soapstone is incredibly strong and durable. It is a natural stone that is mostly magnesium and talc, and the Native Americans used it for cookware, because it has tremendous heat distribution capability. 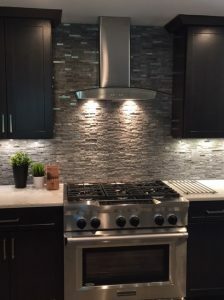 The stone is also fantastic for inlays, including fireplace mantels and surrounds, sculptures, sinks, and even kitchen countertops. This material can stand up to hot pots, pans, and casserole dishes that you place on your countertop. To protect the stone, you’ll want to use hot pads, but you don’t have to. It’s durable enough to take abuse much like granite does without damage. The only thing that happens to soapstone as it ages is it darkens some, but this natural patina enhances the stone’s beauty. Taking on a kitchen remodel can be a behemoth task. Not only is it one of the most lived-in rooms in your house, but it is also one of the most valuable. No matter how beautifully you design the space, it also has to be functional for all of your daily kitchen needs. 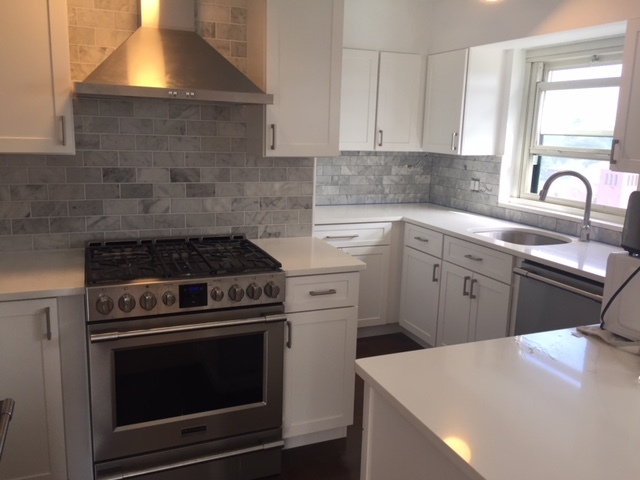 When you meet with your local contractor to discuss kitchen remodeling, be sure to have an idea of what you may be looking for. 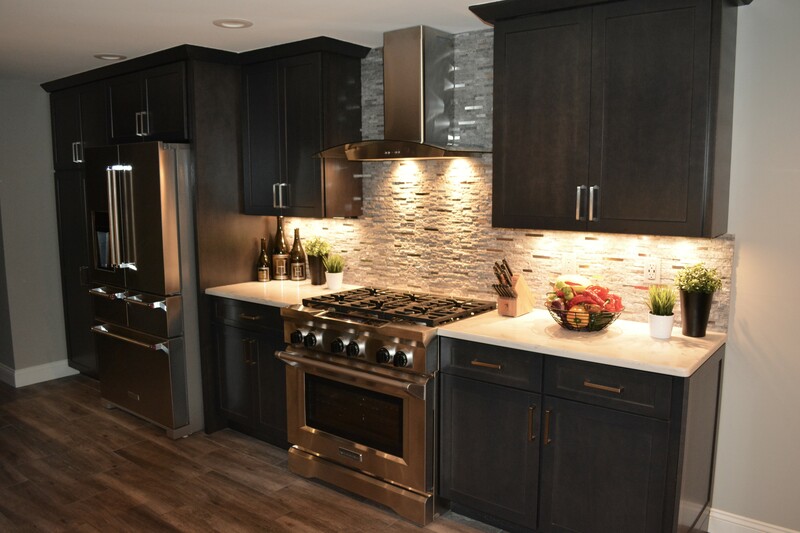 Keeping in mind how you and your family uses the space, consider these tips for planning your remodel. Whether you plan to sell your home soon and want to increase its value, need more space for your growing family or just want to improve your home for your own purposes, a bathroom renovation is always a good place to start. Bathroom remodels can be done quickly and without a lot of resources. However, if you’re not careful, you may end up creating the dreaded wasted space. To avoid wasted space, and to maximize your home’s existing space, consider what makes a great bathroom. Thinking about remodeling your kitchen may scare you or excite you, or even a little bit of both. 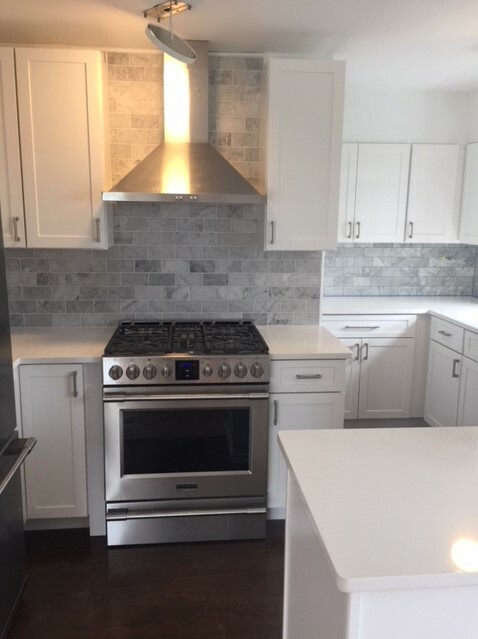 Many people would love to tackle a kitchen remodeling project but the thought of not having a kitchen for quite some time during the renovation keeps them away from giving it a try.